Detectives in Maryland discovered a photo taken of an alleged murderer by the victim as the killer closed the lid of the trunk. It was discovered on the victim's I-Phone. Not really, it is just a photo of me early in the morning as I arrive at work but you gotta admit it was a catchy headline. Today, I want to talk about how the earth was made including its creation, life span and how it will all end for life as we know it. If you have not done so yet, you may want to read my previous articles including “What is the sun?”, “A new twist on Gravity” and “The Great space mining operation”. I will be developing on concepts I presented there. As I stated in my previous articles, the sun is a tiny particle passing through the multi-dimensional fabric of space which consists of random atoms and particles loosely bound together, magnetically attracted to each other. As the particle passes through “outer space”, it splits it apart causing the atoms to split and fuse together in the space surrounding it. When we look up at the sun, we only see these nuclear reactions occurring in the space surrounding the particle. It is occurring hundreds of millions of billions of trillions of times squared to the power of 32 (just a wild guess). It gives the appearance that the sun is a large mass cutting through space but in truth it is only the “outer space” surrounding this particle that is reacting to the particle passing through it. As these reactions occur in the space around this particle we call the sun, some atoms fuse together to create the elements that make up you and me and all other forms of matter. These new elements are cast into the gravitational vortex of the sun created by the space surrounding the vacuum pressing inward in an effort to come back together with the atoms they once neighbored. This force is the force commonly referred to as gravity. 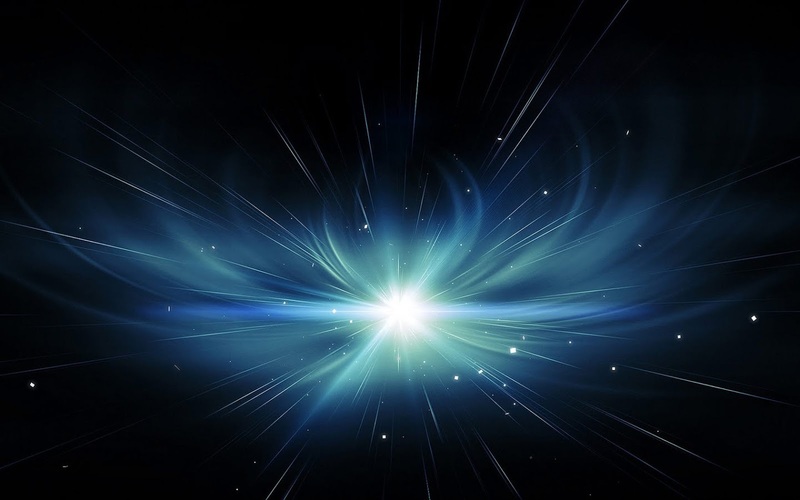 As this newly formed particle bounces between the invisible walls of “outer space” within the vacuum and swirls around the gravitational vortex, other particles bind to it causing it to grow over time. This is how a planet is formed. Over a long period of time, possibly millions of years, this particle collects more elements to it including carbon, oxygen, hydrogen, helium, etc. It continues to grow into a large mass becoming what we can see to be a planet emerging within our galaxy. Unfortunately, this newly created planet is incapable of sustaining life due to the extreme temperatures radiating from the sun. But the good news is that this is only a temporary environment. It changes as this planet falls back within the gravitational vortex of the sun a.k.a. our galaxy. Millions of years later, this new planet will be within a proximity of the sun that will allow an atmosphere to be formed around it allowing newly discovered hydrogen atoms to bind with the new oxygen atoms to form water. This water then falls to the ground onto the fertile soil of the new planet. Once this water soaks into the ground, new life begins to form as the radiation of the sun passes through it creating life. In essence, matter is nothing more than these elements binding together and projecting itself into space/time and held into place by gravity. As the sun’s radiation passes through these projections, it excites the atomic particles and generates an electromagnetic force within the form causing it to spring to life. 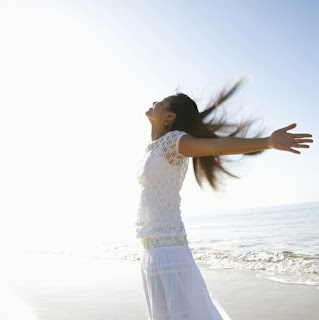 Once this life is created, it then takes various elements from within the environment and uses them to sustain itself. It consumes elements and converts them into new elements. Some take oxygen and convert it into carbon dioxide, while other life forms convert the carbon dioxide (CO2) back to oxygen. I won’t go deep into explaining how this works. There are already many articles on this subject are already available at the library and/or online. Instead, I want to continue on with the lifespan of a planet. When I am referring to the lifespan of a planet, I am actually referring to the period of time the planet is capable of sustaining life because the planet will be here long after it is capable of sustaining life as we know it. It will be similar to our neighboring dead planet we call Mars. As time passes this planet tends to lose its place in the galaxy as it falls back in the gravitational vortex, thus adding distance between it and the sun. Temperatures begin to fall and certain elements that were once abundant, bind together closer to the sun and are deposited onto the newer planet between ours and the sun. One day all of the hydrogen and oxygen atoms will bind together over Venus. The water will then fall onto its new fertile ground causing various life forms to grow out of the soil and life will begin just as it had on planet Earth, Mars, Jupiter, etc. At the same time, Earth will become unbearably cold and freeze over just as its predecessors did millions of years before it was big enough to be seen from a telescope on a distant planet. One day, someone will look through a telescope and see a new object between our planet and the sun. This object will grow and will become what we know today to be a planet. 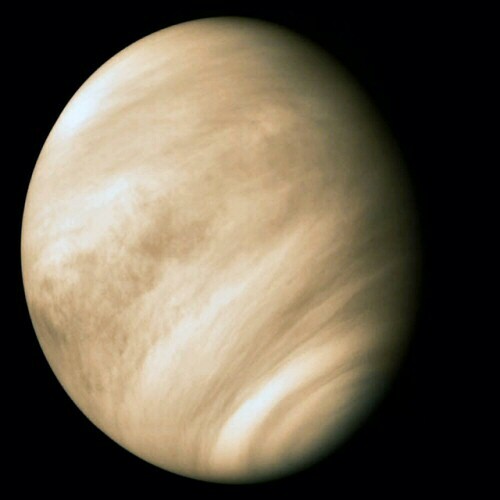 Within a few million years, when our planet is no longer inhabitable by life, Venus will be the planet capable of sustaining that same life and even perhaps new life forms we have never seen before. So this brings up the question “What happens to us when this occurs?” The answer is simple; we will migrate to a warmer climate until there is nowhere else on this planet for us to go. Then when it gets too cold on the entire planet there will be an ice age like never before seen. The end result will be that humans will either cease to exist or find a way to migrate to Venus and inhabit the new planet until it too becomes a hostile environment for our species. That is about all I have to say on the subject. Please feel free to comment below. You can read my other blog at http://privetanna.blogspot.com. Finally you can find my book titled "The Never Ending Letter" on Amazon and look for our novel soon. If you haven't watched it yet, you may want to watch it so you can get an idea of what I am comparing my results to. Saturday, I weighed a bottle I filled with water. It weighed precisely 3 pounds. After I froze it, I weighed the bottle again and the scale indicated it gained 1 tenth of an ounce. Today after it had a chance to thaw, though not completely, I weighed it again and it was back down to 3 pounds exactly. Given the results I am finding, it appears that water takes on additional weight while frozen. I hope to continue repeating this experiment and begin to document my findings. How to install a new chandelier "The Easy Way (TM)"
In this video, my wife and I demonstrate how we installed a new chandelier "The Easy Way (TM)". I hope you find the video helpful and entertaining. An experiment with ice has a surprising result. This weekend I decided to conduct an experiment to test a theory of mine. In this experiment I weighed a bottle filled with water and froze the same bottle of water overnight. I was looking for a change in weight. The results were rather surprising. Jack the Ripper Found in Idaho? Yesterday on my way home from work I found myself behind a red car with a custom license plate that read "JTR". You may not be able to read it in the video but I was able to read it clearly and it read "JTR". I didn't think about it at the time or I would have zoomed in closer with my other camera but I didn't even notice the license plate until it was too late. I couldn't help but think to myself who would put those initials on a highly visible license plate knowing that those are the same initials as a famous serial killer, "Jack The Ripper". Perhaps it is the famous serial killer himself. The great space mining operation. If you haven’t done it yet, please read my previous articles “What holds us to the ground” and “What creates life”. 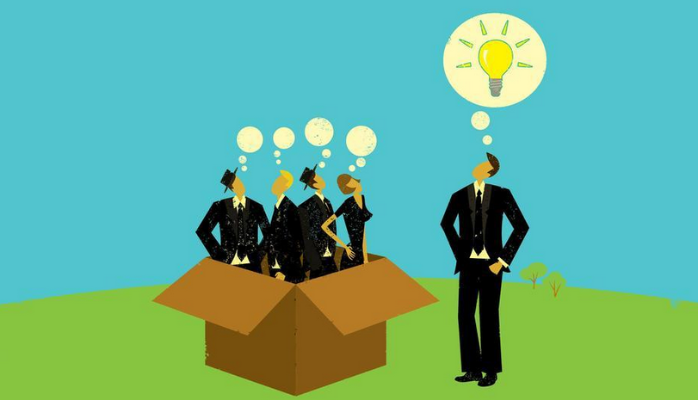 I will be continuing to develop the ideas presented there. As I stated earlier, I believe the sun is a particle breaking through the multi-dimensional fabric of space. 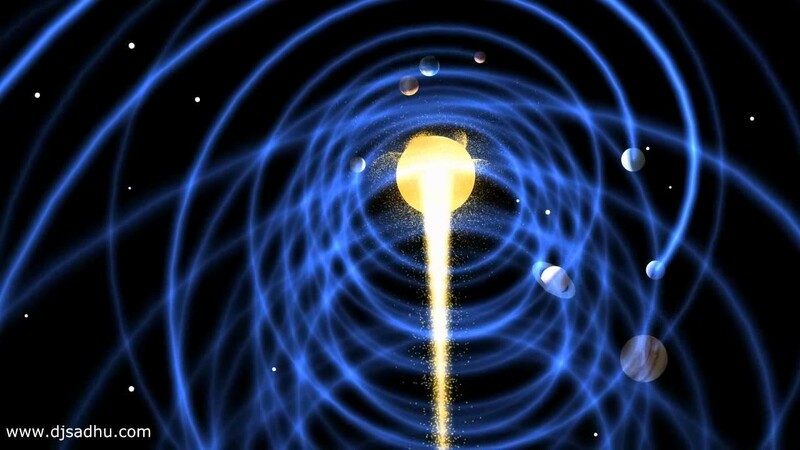 As it passes through space, it creates a crushing force outward causing trillions of nuclear reactions in the space surrounding it as well as creating the force we refer to as “gravity”. 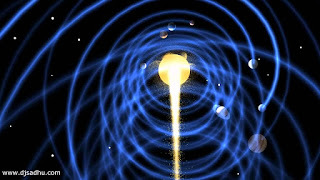 Gravity occurs when the space surrounding a particle or mass is compressed and displaced causing a magnetic attraction to the space it was separated from. 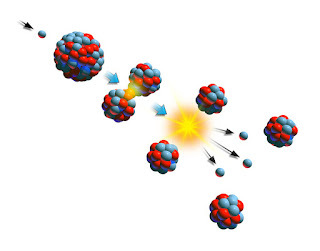 These nuclear reactions result in the creation of the elements that we know to make up matter. As these elements are created they are assembled into matter and grouped together by atomic weight. As a heavy element is created, it immediately begins to gather the lighter elements around it forming what we know to be a planet. This newly created planet is then cast out behind the sun and begins an orbit within the gravitational vortex of our sun and held in place by the gravity of space surrounding the vortex. This gravitational vortex is a vacuum that is created as the sun travels through space. This vacuum should not be confused with “outer space” which is a common misconception of a significant portion of the scientific community. 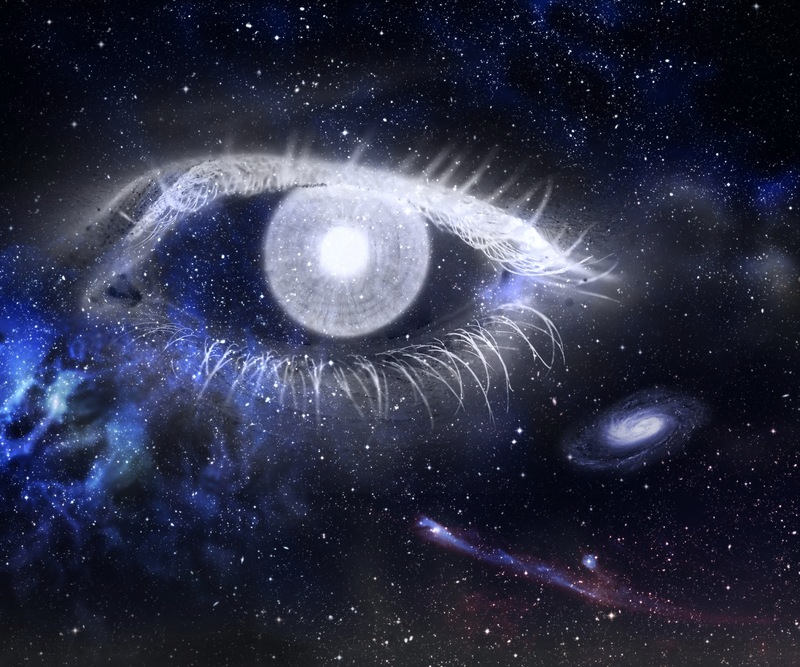 Remember, “outer space” is a multi-dimensional energy field that contains all of the elements that lay dormant until a particle passes through it causing it to split, releasing this energy and resulting in light and immense heat. The space surrounding this particle compresses and causes these new elements to bind together with other elements and creating matter. After it is assembled, this matter is thrown into the sun’s gravitational vortex and begins to combine with the other matter within the vortex causing planets to emerge within the vacuum of the vortex. These tiny planets gain mass from the matter that continues to be deposited on its surface from the sun. Over time, these planets slowly move away from the sun due to the weakening force of the gravitational vortex and the increased weight of the mass. As the newly created planet gains mass, it also creates its own gravitational vortex within space. Although it is much weaker due to the vacuum it exists within and its smaller size in comparison to the sun. This is the gravitational vortex that keeps our moon in orbit of our own planet. As I said in a previous article, this gravitational vortex creates a force that twist or grinds matter. This action causes all matter to grind to dust over a period of time and eventually all matter is separated to the basic elements that form it from this grinding force. The heavier elements like gold, lead, mercury and uranium gather together and settle deep below the planet’s surface as the lighter elements settle on top of the heavier elements and form the earth’s crust and our atmosphere. As the force of the gravitational vortex weakens, this new planet begins to fall back in the vortex increasing the distance between it and the sun. This allows the planet to cool enough and enable it to sustain life. It allows hydrogen to bind with oxygen to create water. This water created in our atmosphere is cast to the ground in the form of rain. It also allows some of these elements to combine into a protective atmosphere that cannot exist if a planet is either too near or too far from the sun. 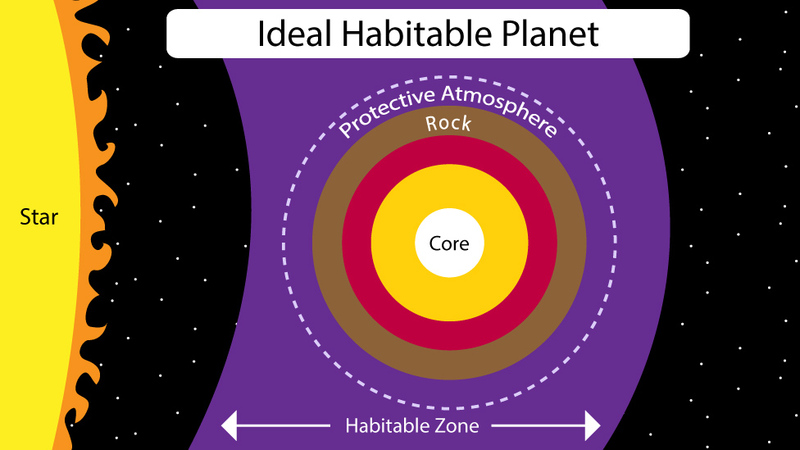 When the new planet is within a safe zone of the sun, elements such as carbon, hydrogen, oxygen, and others combine to create organic life forms and project them into space. The radiation of the sun then stimulates these molecular structures by producing an electromagnetic field within the matter causing it to spring into life. Now that I have described how the planet came into existence and how life is created, I want to tell you why I think this particle that we know to be the sun was sent into outer space to begin with. 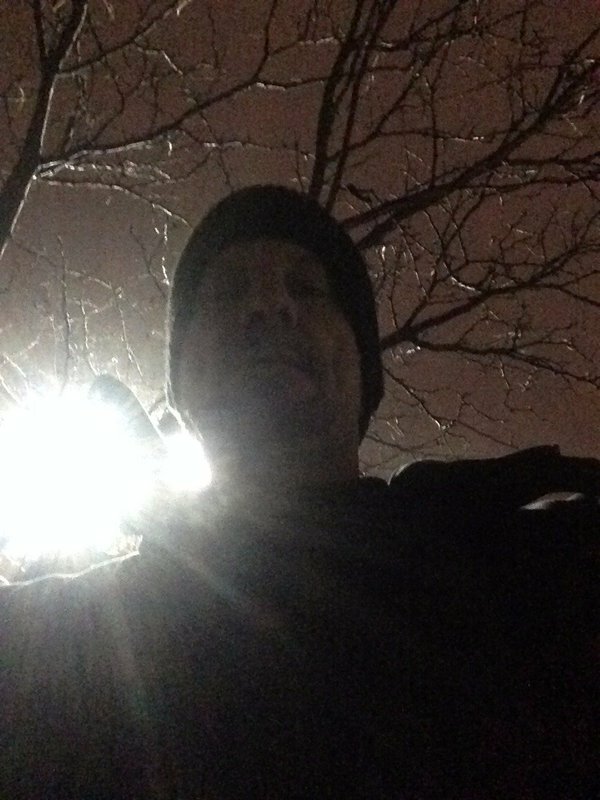 I believe this particle along with the other particles we can see in the night sky, were sent into our universe to accomplish one goal. That goal was to harvest or mine the elements within it. The entity that sent this particle on its journey did it with the intention of gathering those elements from outer space and collecting them after they reach the boundaries of our universe. You can call this entity God if you so desire or you can call it an alien race or being. Imagine the sun as a drill bit drilling through outer space searching for these core elements and gathering them into manageable packages just like miners do as they dig for gold or silver. They tunnel through the earth to find these minerals, place them on a cart and transfer them to the surface so they can be used. Instead of using a cart to transfer the elements to the surface for use, this entity/creator uses planets. One day in the future this planet will be collected and used for its intended purpose. Similar to how we put a slice of bread into a toaster and wait a period of time for it to be ready, the entity that sent the sun through the universe waits for the next planet to be ready for harvest. There are already numerous planets that are nearly ready to be harvested long before earth will be ready. Just as our slice of toast pops out of the toaster when it is ready, Pluto will be ready for harvest and pop out of the known universe into the domain of its creator ready for use, as will the other planets including our own over time. Don’t worry though; we will not exist on this planet by the time it is harvested. We will have ceased to exist on this planet long before it is ready for harvest due to the distance from the sun. 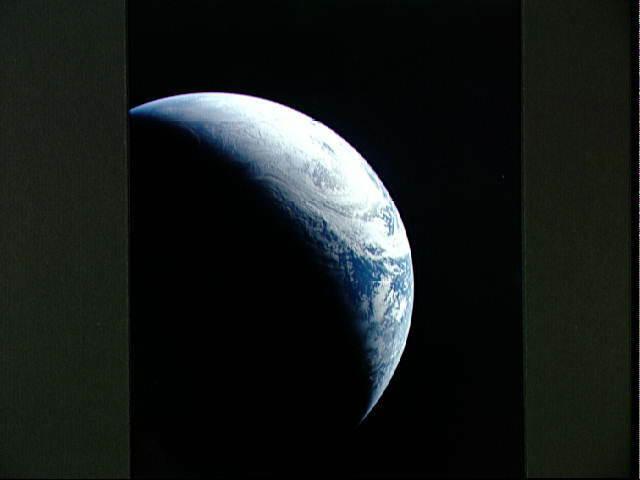 By that time earth will not have an environment capable of sustaining life. It will be nothing more than a rock made up of all the elements it collected on its journey from creation to its end. We will probably exist on a planet closer to the sun at that time. One that is within the proximity earth is from the sun now. That is about all I have to say on the subject. This article is a continuation of the article titled "What holds us to the ground". If you haven't done so yet please feel free to read it before continuing as I will be building on the information I provide in that article. As I said in the prior article the sun is nothing more than a particle passing through the multidimensional magnetic energy field of outer space causing innumerable nuclear reactions within the space surrounding it. 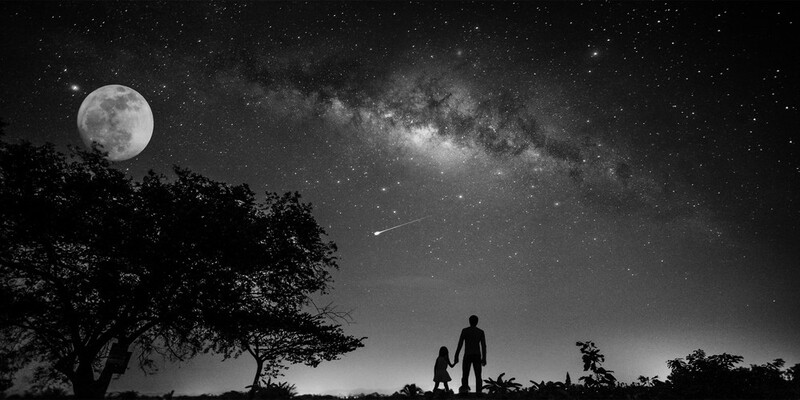 "Outer space” is a template for all known and unknown elements. It contains all the ingredients that make up all matter throughout the universe. All it needs to be is split apart, separated and reassembled. As the particle we call our sun passes through outer space it creates the various elements that lay dormant within the fabric of space. It does this by a nuclear process we call fission. 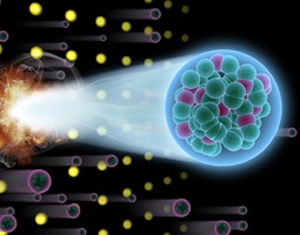 Splitting an atom in space results in the creation of an element. Once these elements are created, they assemble together within space to make up matter and the assembled atoms/molecules are held in place by gravity which is the compressed or magnetized space surrounding the matter. 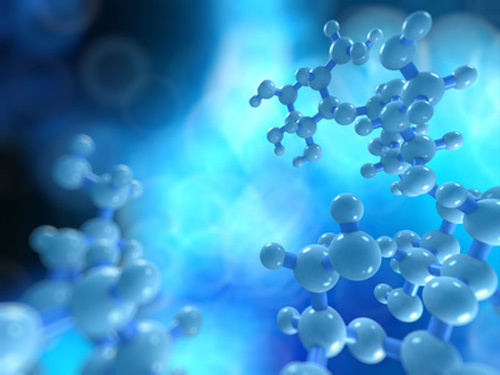 In essence matter is nothing more than a molecular arrangement projected into space and held together by the gravity of the space surrounding it. After an element is created, it begins to bind with the other elements surrounding it and other elements bind to it. They accumulate to form what we know as “Earth”. In fact the earth and other planets could be described as space mining collection sites. Elements are created, collected, grouped by atomic weight and deposited to the ground beneath our feet. This in itself is not enough to create life, however. Life requires specific elements to exist. Atoms of hydrogen need to bind together with oxygen atoms to create water which is a necessary component for life. Life also requires heat and light. Lucky for us, this heat and light is created from this particle called the sun traveling through space causing these millions of billions of trillions of … of nuclear reactions. Even with all of that going on as the sun passes through space; it is still not enough for life as we know it to exist. Life requires one more thing to get started, so to speak. Once this chemically bound molecular arrangement is projected into space, it is then “energized” by the radiation coming from the sun. That is the final ingredient needed to create life as we know it. Yes, we need the sun’s radiation to survive and without it, life would not exist. 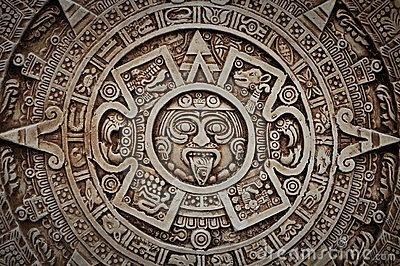 In essence the radiation coming from the sun ignites the molecular projections causing them to come alive. Now you may ask, “What about the other planets in our solar system?” and “If earth was formed from the elements created by the sun, what created the other planets?” The answer to those questions is very simple. They were all created the very same way. I will even take it a bit further by saying that life existed on Mars similar to how it exists on Earth as it once did on the other planets following us through the gravitational vortex we call our solar system. “Hold on there, you’re trying to tell me life existed on the other planets in our solar system?” Yes, that is exactly what I’m trying to say. Life existed on Mars, Jupiter, Saturn, Uranus, Neptune and Pluto, as well as any other planet that may have broken free from the gravitational vortex of the sun. 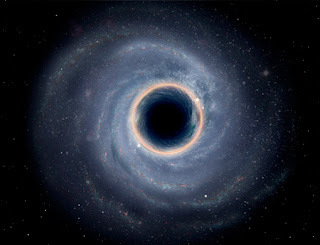 Within a gravitational vortex, the force weakens over time and distance. All objects or matter slowly falls back away from the sun. At one point in time, Pluto was the same distance from the sun as the earth is today and one day the Earth will be as far from the sun as Pluto is today. 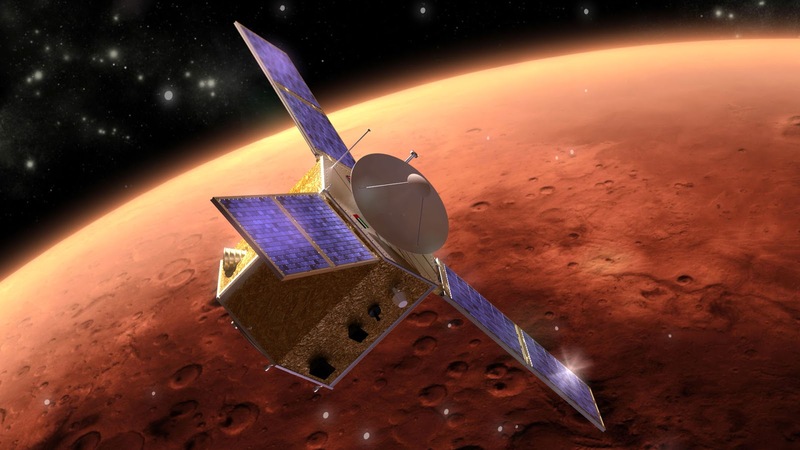 Not too long ago, Mars was within the same proximity to the sun as we are now. The location of our planet within our solar system is very important because it is the correct temperature and the elements we need to survive are abundant in this location. If we go back in the solar system, we will find temperatures too cold to sustain life. Inversely, if we go forward in the solar system, we find the temperatures are too hot for life to exist. In fact hydrogen atoms break free from oxygen atoms at those extreme high temperatures so water cannot exist in that environment. While matter can and does exist everywhere throughout the universe, life can’t exist without the correct environment. One day in the future, the force that holds our planet within the gravitational vortex of the sun will loosen and we will slowly fall back in the solar system. This will cause extreme temperatures that will make it incompatible to sustain life. Around the same time Venus will enter the sweet spot of our galaxy and life as we know it can be formed again on the new earth energized by the same radiation that we benefit from on this rock we call home. I don’t know how long the earth will stay within the correct proximity of the sun and continue to be an environment capable of sustaining life. Perhaps a million years or more will pass before it becomes uninhabitable but it is an unfortunate reality and humans may find it necessary to migrate to the new planet when it becomes life friendly. A mass migration will not be necessary though because life will sprout from the new fertile ground on Venus, just as it did on Earth. Various life forms, including life forms similar if not identical to us will share a new world for perhaps 10,000,000 years or longer. At least until Venus falls out of the correct proximity to the sun. But don’t worry; by that time Mercury will be the planet to sprout new life and there will probably be another planet between our planet and the sun. That is about all I have to say on the subject today. What holds us to the ground? If you haven't done it yet, you may want to read my articles titled "A New Twist on Gravity" and "What is Gravity" as I will be building on the information I provided there. Today I am going to answer the question "What really is this force we call gravity" and what actually holds us to the ground. 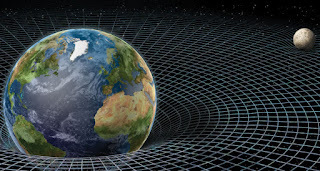 Einstein theorized that gravity was the bending of space around an object. This is probably the most widely accepted theory today. 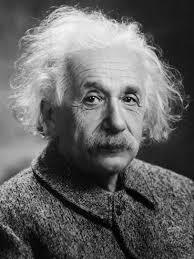 I don't want you to get me wrong, I have complete respect for Einstein and I would never attempt to compare myself to him, but I believe his theory is not completely accurate. Before you angry Einstein fans decide to stop reading and go somewhere else, let me explain. I'll start by saying gravity is actually made up of 2 forces, not just 1. One of those forces I discussed in my article A New Twist on Gravity. It is what I referred to as the "gravitational vortex" generated by an object passing though space. It is a twisting or grinding force. Eventually this grinding force of gravity grinds everything to dust. It even grinds stone over time. The other force is what Einstein considered to be the bending of space. As I stated earlier, I believe this is not a completely accurate description. Space doesn't really bend around an object or particle, it compresses and splits apart as the object passes through it. Similar to a spring that applies pressure when compressed, space compresses around an object passing through it. 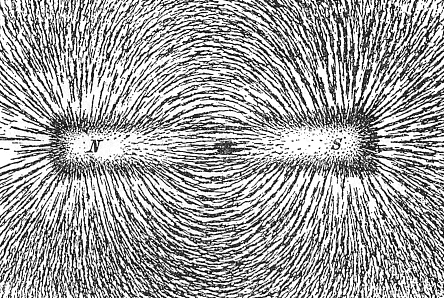 This force is the same force we refer to as a magnetic force. What we consider to be space around us is not the same as "outer space". 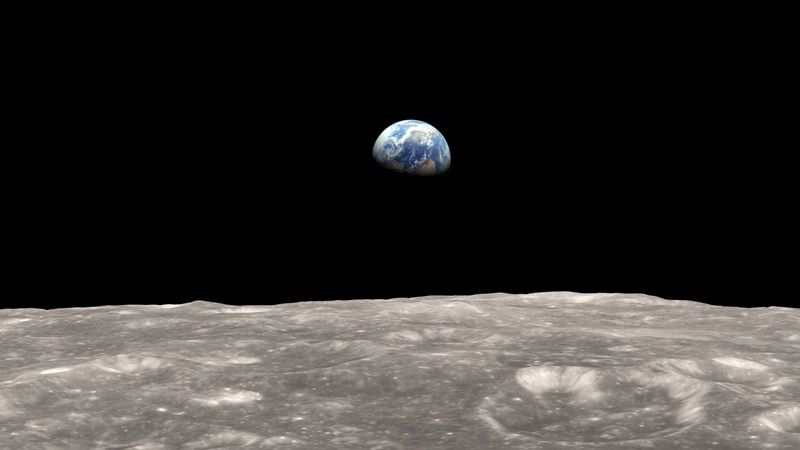 To be honest, I believe that mankind has never truly been to the real "outer space" I'm referring to. We only experience the disrupted space of the gravitational vortex created by the sun traveling before us and the other planets we follow through our journey around the universe. 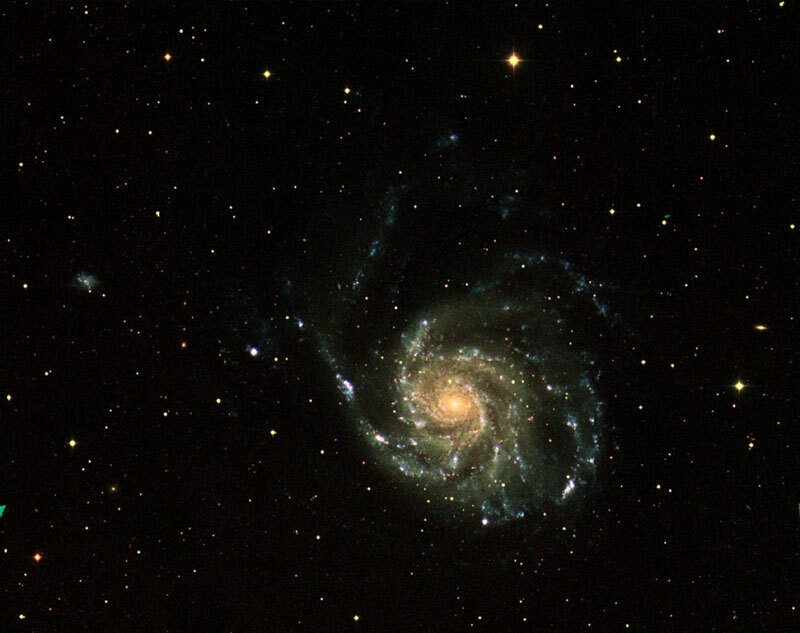 True outer space is a magnetic field of inert or potential energy. As a particle, in our case "the sun" passes through outer space, it must first split it apart. This splitting of space causes a nuclear reaction called "fission" to occur. I write more about this process in my previous article here. Once this split occurs, it creates light and extreme heat. The displaced subatomic particles expand outward with a force that literally crushes the surrounding atoms in the space surrounding them. 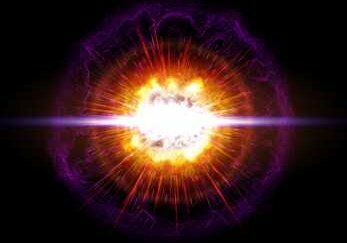 This crushing force creates a shock wave that can be measured on the opposite side of the universe. It fuses some surrounding atoms together while it splits others apart. This force creates the very elements that allow life to exist. 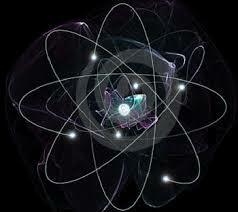 Depending on how each atom is split, a different atomic element would be the result. In essence, outer space is a template for everything. Similar to a box of chocolates, you never know what element will result from splitting an atom in outer space. Gold, silver, copper, lead, carbon, etc... are all elements that result from this reaction. In fact every element we have ever discovered was created this way. As these elements are created they are deposited on the ground beneath our feet and over time, grouped by atomic weight. They are ground together by the force of gravity and separated by the atomic weight. 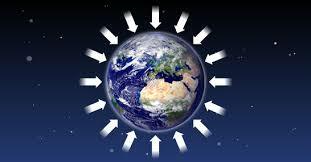 The heavier elements are buried deep beneath our feet while the lighter elements float above us in our atmosphere. Imagine this occurring millions of billions of trillions of ... times in the space surrounding the particle we call the sun. Once a heavier element is created, the lighter elements begin to settle above it. Sometimes even a new planet begins to build around it. Along with creating heat and light, the particle splits the magnetic force binding space together. This causes an equal and opposite reaction that pushes back against the particle or object passing through it. This is what holds our entire atmosphere together. It also creates pressure from above and pushes everything to the ground. 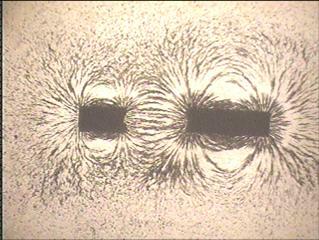 This same force occurs when you break a magnet in 2 pieces. If the 2 pieces are aligned in the correct direction they are drawn together, applying pressure to the space or object between them. This is the true force that we call gravity and it is also the end of this article. As I said before, I am no expert. I am just a free thinker and these are just some of my random thoughts. Take em or leave em. Last night in Caldwell I drove up on what appeared to be an accident scene. The Local Fire Department was on the scene with at least 4 police officers. Paramedics were also on scene. There didn't appear to be any visible debris at the scene so it is not clear what the incident was. Anna and I hosted Thanksgiving at our house this year. My parents arrived early to help prepare the turkey and make the dressing and gravy. My father had to show me how to make gravy for the 78th time but this time he was able to show me "The Easy Way(TM)". I was able to get it all on video so I don't forget the recipe next time ;). For Ivan's Birthday we took him and Maria to Wahooz. We had a great time and I was able to get it on video. This is just a short video of me shooting the 8 ball into the corner pocket from different camera angles. Today my neighbor Rick came by to help me move my pool table. It was HEAVY!!! Here is a video I took of us moving it. Today I decided to record a video of me playing one of my favorite games, Microsoft Flight Simulator. I don't get much time to play it but I thought it would be fun to try recording it for your enjoyment. Tonight I I thought I would try my first night flight from Boise to Caldwell. I think I did pretty well. You can be the judge. Like and share the video. Anna has been having problems with her eyesight lately and a few weeks ago we learned that she has cataracts. So today, I had to take her in to have cataract surgery to her left eye. We had the surgery done at the Pacific Cataract Institute in Boise. We were there for about an hour and a half but the surgery itself only took 15 minutes. I was able to get the entire operation on video for educational purposes. I hope it will help alleviate any anxieties you may have while anticipating this type of procedure. Warning: Some viewers may find the following video content disturbing. Viewer discretion is advised. We hope this surgery is a success. Anna really wants to start writing again. Today while driving our car was almost hit by a police followed by a black truck the came even closer to hitting us. You will see it approximately 35 seconds into the video. What is Space, How big is the Sun and why does it matter? 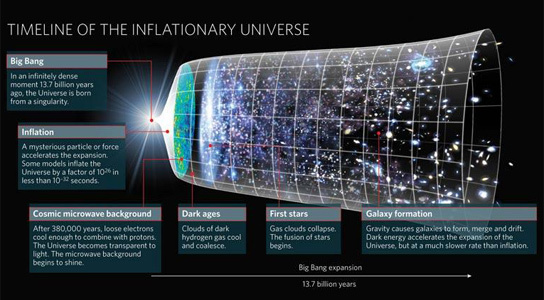 Today I will attempt to challenge a bit more about what you have been taught about the universe. Before I can get into the size of the sun, I need to describe to you what space, commonly referred to as "Outer Space" really is. According to Google, space "is a continuous area or expanse that is free, available, or unoccupied.". I think this is an accurate definition and it is the definition I was taught in school but as I stated before, feel free to check it's definition in the trustworthy Websters dictionary. When I say this is an accurate definition, I am not saying it is completely accurate. Space is never "unoccupied" as this definition would lead you to believe. Space is actually made up of atomic particles and subatomic particles that are completely neutral and are loosely bound together. When I say loosely, I mean any other particle can split through an atom that exists in space with absolutely no resistance. It is made up of an infinite number of dimensions within which all things exist and move. Although we are only capable of perceiving 3 dimensions. Those dimensions are height, depth, and width. What I am about to tell you could possibly blow your mind so to speak. It will definitely challenge everything you believed about the sun. I will start by telling you the sun is tiny!. Yes that is what I said, I said "The sun is tiny!" and when I said tiny, I mean it's so small that it cannot be seen with any microscope that exists today. I know what you are thinking. You are thinking this guy is off his rocker and out of his mind. If you give me a moment to explain, I think you will understand exactly where I am coming from and come to your own conclusions as to whether or not I am crazy. As this tiny particle we call the "Sun" passes through space, it splits the the loosely bound atoms that make up "outer-space". This split is also known as a nuclear reaction called "fission". When this reaction occurs, it immediately polarizes the subatomic particles and creates a powerful magnetic force between these subatomic particles. This magnetic force creates the force we know as "gravity". Imagine taking a metal tubular magnet and break it in half. What happens? 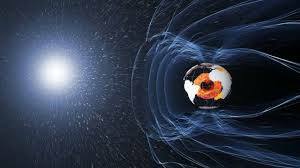 The magnetic poles begin to attract one another or if aligned wrong, repel one another. This is similar to space. 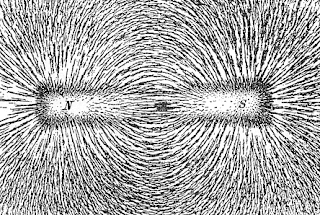 An object or in this case a particle passing through the fabric of space is separating the magnetic field causing equal and opposite reactions just as in the example of the broken magnet. 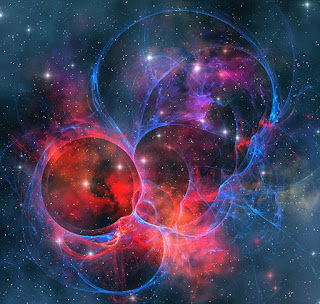 These polarized subatomic particles collide with other subatomic particles causing similar reactions. 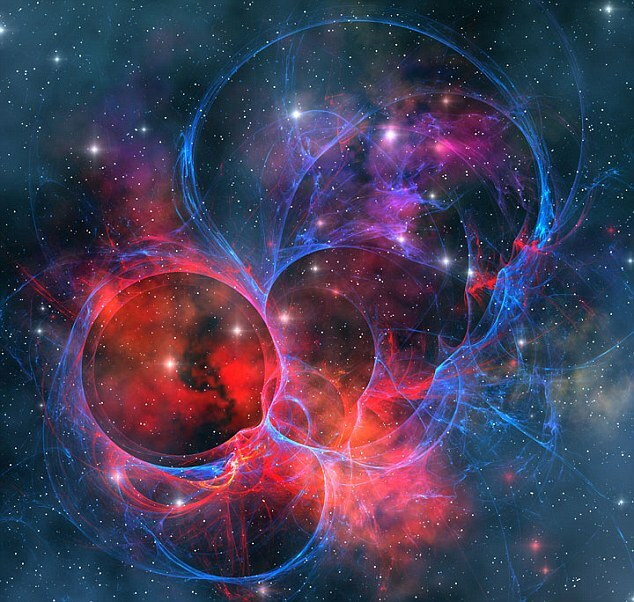 Those subatomic particles split through the neutral atoms that make up space causing additional fission and also forces another type of nuclear reaction called "fusion" with other polarized atomic particles creating the basic elements that create matter. Yes I said this process creates the elements that make up matter. When an atom is split in this nuclear reaction known as fission it causes a reaction in the fabric of outer space and creates particles that transfer light called photons. It also creates a vast amount of heat and generates temperatures that cannot be measured. I believe this is the type of nuclear reaction that killed millions of people in Japan near the end of World War II. Although much of the light and heat you feel from the sun is from the splitting of the atom other particles combine to form hydrogen, oxygen, helium, gold, silver, etc.... This fusion creates the basic elements that make up our planet and the other planets in our solar system. As hydrogen atoms collide with oxygen atoms it creates H2-O also known as water thus allowing life as we know it to exist on this planet. 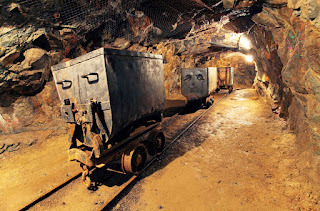 Other heavier elements are created like gold, lead, uranium are fused together and settle below the lighter elements. Usually these elements combine together and gradually get covered by the lighter elements above and need to be dug out or excavated from the ground. The heavier elements slowly settle towards the center of the earth and resting just above the heavier elements below. No more fusion can occur beyond that point. Just about all that can be fused together at that point has already been fused together. That is not to say there is not friction or pressure. In fact the pressure is so high and the friction created by the fission process surrounding the elements extreme temperatures are generated. These temperatures are theorized to be so high that they cannot be accurately measured. 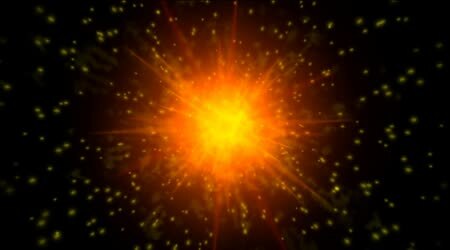 Now that I have explained to you of how this tiny particle we know as our sun passes through space creating the continuous "big bang", imagine this same process happening an infinite number of times above us as we look we look up at the sun. It is occurring hundreds of billions of times creating what we see as the sun. This process creates winds, weather and the entire atmosphere above us protecting us from the radiation and extreme temperatures caused by the sun particle splitting through the multi-dimensional fabric of space. In closing I would like to say that I believe the sun is nothing more than a single particle separating the space it passes through and generating the magnetic force called gravity as it passes through the fabric of space. As I have said before, I am no expert. This is just my opinion. If you have any opinions feel free to comment below. Tonight on my way from the movies with my 2 sons, we drove by the scene of the road rage incident last week that ended in a fatal shooting. A candlelight vigil was being held in memory of the shooting victim Luis R. Lara (38) who was shot 3 times during a road rage incident with 21 year old Jacob D. Wall. Here is a video we captured as we drove by. Yesterday Anna and I decided to take the dog and the kids to the park. We had a good time until a park ranger walked up to let us know the park is closed after sunset. He also had to explain the rules regarding operating the drone. His name was Matt and he seemed to be a nice enough guy so we didn't argue with him. Alan Dein with BBC 4 Radio in London called me to ask about the elections for an upcoming episode of the radio series "Don't Log Off. He wanted to know who I voted for and why as well as wanting to catch up on the latest with Anna an I.
I was able to get the entire conversation on video. Here it is. I hope you enjoy the video. This is some video footage taken by Ivan while he flew his drone. Many of the videos were taken over our neighborhood and Eagle Island. I think the videos turned out pretty cool. Hopefully we will be able to get another drone that can produce higher quality videos soon. The other day, I went out with a few friends to The Pocket in Boise. We had a great time playing pool and I was able to get a lot of it on video. On our way home from the pocket, I came across a police barricade that we learned later to be a scene of a fatal shooting that occurred just before 6:00 P.M. on the corner of Edna and Five Mile in Boise. You can see it on video approximately 9 1/2 minutes into the video. Last night on our way home from playing pool, we drove up on this police barricade that we later discovered was the scene of a fatal shooting at the corner of Five Mile and Edna. I was able to capture it on both my go pro and my Canon camcorder. This is the video I captured using my trusty Canon. You can view the other video here and on YouTube as well. Tonight I met with some friends and we played some pool at the Pocket in Boise. On our way home we saw a police barricade set up at the corner of Edna and 5 Mile. Crowds were gathered and it looked like a police standoff. Today I want to talk about time and how we perceive it as well as attempt to describe eternity in a way you probably have never heard. I will begin by asking the question "What is time?". 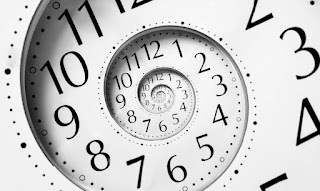 According to Wikipedia "Time is a component quantity of various measurements used to sequence events, to compare the duration of events or the intervals between them, and to quantify rates of change of quantities in material reality or in the conscious experience." I believe this is an accurate definition but feel free to look it up in the dictionary if you don't trust the "Newspeak". As stated in the definition above, time is a measurement "used to sequence events". According to this definition, time is a measurement device of sorts, similar to a ruler. Imagine a skydiver getting ready to jump out of a plane. 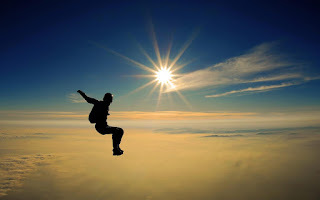 He/she is about to participate in an event that will begin when he/she jumps from the plane, continues as they free-fall through the air and ends with the skydiver on the ground (hopefully safe). Now that I have created an "event" in your mind, I want you to imagine the same skydiver taking a tape measure with him/her and clip the end on an invisible hook in the air that surrounds the plane at the time the skydiver leaves the plane. This is similar to how we measure time. 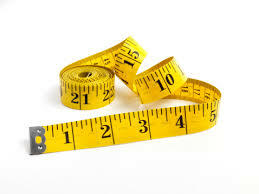 Although the devices we use are more complex than a tape measure. 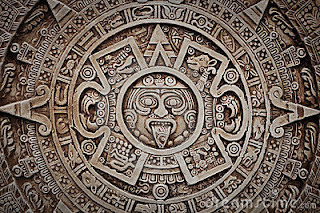 In the beginning, whether you believe in the "big bang" theory or you subscribe to the belief in a supreme being or "God" creating the Earth, someone started counting the years, decades, centuries and millennia based on a calendar used by the "Mayans"
It is said to have ended on the 12 day of December in the year 2012. In essence we reached the end of the tape measure used to measure the event. 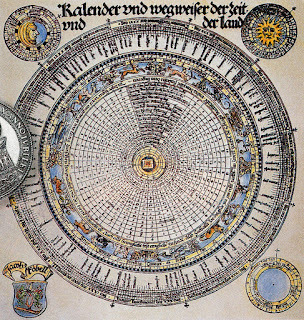 Our modern day calendar is based on the Gregorian Calendar that began a little over 2000 years ago, almost 2017 years ago to be more precise. 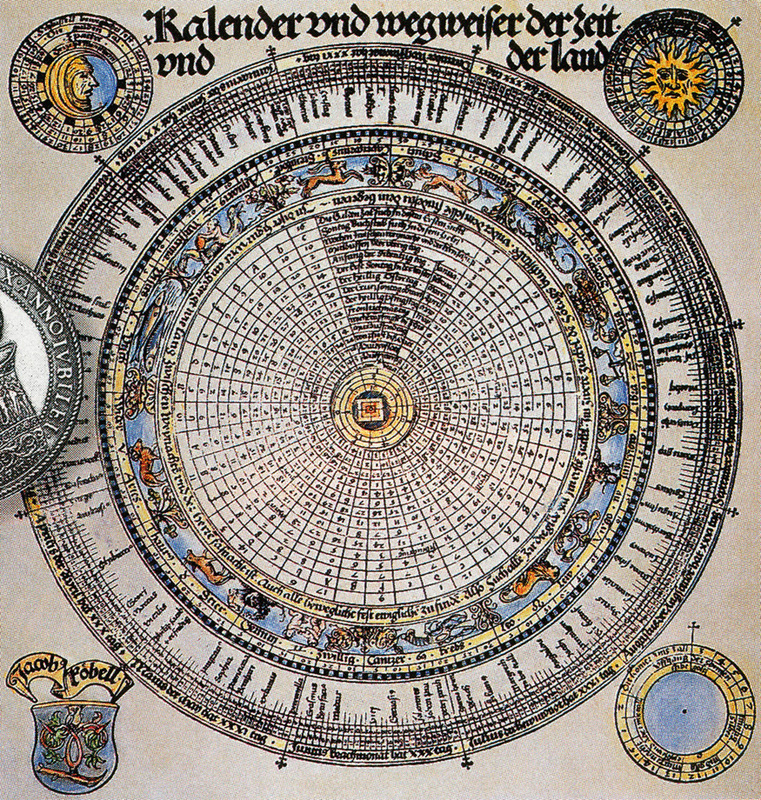 Now that I have demonstrated what time is, I want to talk about "eternity". Again I will start by asking a question, "What is eternity?". According to Merriam Websters, the short definition of eternity is "time that seems to be without an end"
I don't believe that this is a complete definition of the word. 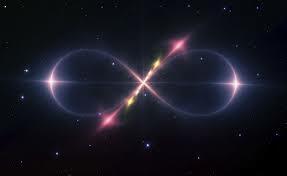 I believe that "Eternity" is more accurately defined as time without a beginning or an end. You probably can't even imagine that length of time! It includes all time with no beginning and no end. Now that we have an accurate definition of the word, I want to ask the question "When is eternity?". In order to answer this question I will need to answer a couple of other questions. These questions are "What moment of time has no beginning?" and "What moment of time has no end?". Is eternity yesterday? No, yesterday had an obvious end. Yesterday ended now, did it not? Will eternity begin tomorrow? Of course not, tomorrow begins now, doesn't it? Confusing, isn't it. The only moment of time that has no beginning and no end is "now". Think about it, now is the moment you are interfacing with this world for any particular length of time. Can you tell me when now began and when now ends? 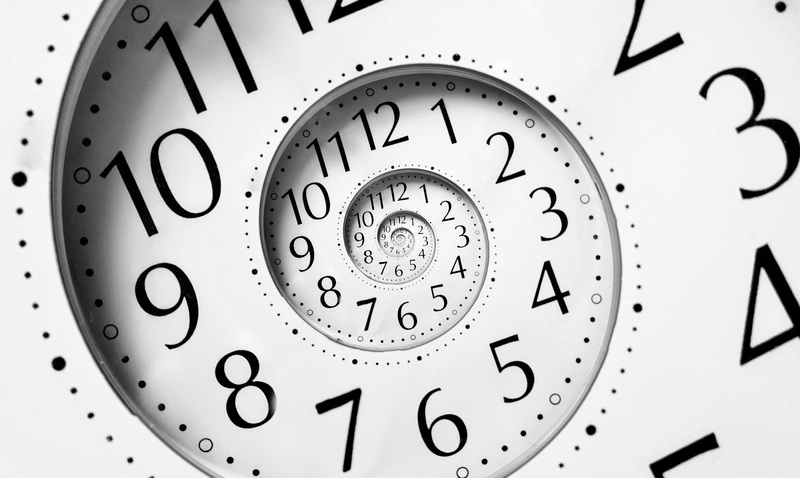 Now that you know that the moment "now" is a point of time on a timeline, you can also see how time is relative to the measurement used and the number of times it has occurred on the timeline, if that makes sense. 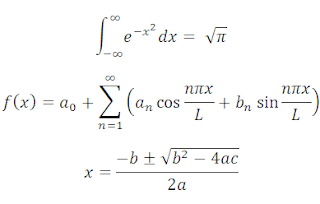 It can be represented using the very simple formula that follows. HAHAHA!!! Just kidding. I said a simple formula and I meant it. The formula is n/x or n divided by x. The letter "x" represents the number of those time divisions have occurred throughout the timeline of history. 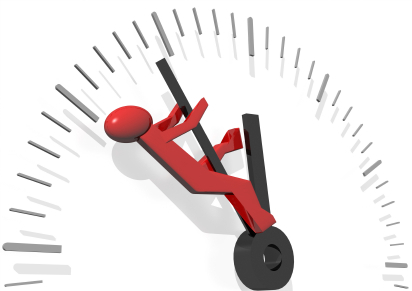 As we get older, time seems to go faster and I believe it is true. If we apply this formula to our age at any given time we can calculate how many decades you have existed and how fast you perceive them to occur on your own timeline which I hope is a long one. Basically the older you get, the faster time passes. How we perceive time passing is relative to the number of "nows" throughout your life. For example, 1 year can seem like a very long time to a 10 year old girl or boy but the same year can be perceived to pass much more quickly to a person in their late 50s or early 60s. To the young child a year=1/10 of their life but to the elderly person a single year is 1/60th of their life. Anyway that's about all I have to say about it. Agree or not, it's my opinion for what its worth. Feel free to comment below. Here is one more thing to think about before you go. 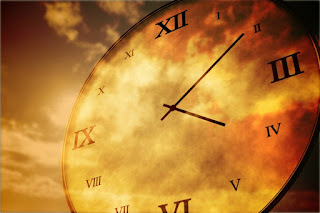 As demonstrated above our perception of time is relative but so is our perception of now. For instance my now could be 300 years into your past and your now could be 1500 years in my past. It's all relative. On my way home from work, I saw a Boise police officer stop at the corner of Orchard and Irving causing a Fed Ex truck to come to almost a complete stop in the middle of the intersection as the driver attempted to drive between my car and the officer's car. I'm not sure what the officer was doing. Perhaps he was getting ready to set up a road block or something. Here is a video of a 5 point elk I called in. It didn't do much bugling and was very quiet coming in but it came up to approximately 30 yards before turning around and walking off. Today was my birthday and I spent most of the day relaxing but later in the evening we had to go shopping and decided to drop by some Halloween stores. I was able to capture some of the more interesting decorations for you to see. This evening Ivan, Anna and I were heading to Eagle Island and we drove up on a bad accident near Linder and Chinden. I hope no one was hurt. Here is the video I took while we drove by the scene. Today my son Shaun and I had to check the oil in my car. It' been leaking for a while now and we only noticed it 2 weeks ago in a prior video. Shaun and I show you how to check the oil in your 2007 Chevy Impala. What is a black hole really? If you haven't read my posts titled "What is the Sun?" and "What is Gravity? ", please take a moment to read them as I will be building on the information I discussed earlier. To recap what I have said in my prior posts, the sun is not a star and is not a stationary object at the center of our solar system. The sun is a large mass, not too much different to the mass that we stand on as we look at the sun. It is a much larger mass than the planet we live on but it is an object traveling through space just the same as our planet. As I discussed in the previous posts, as an object(mass) passes through space, it bends space containing particles and other objects around it. This large mass that we know as the sun moves through space at a speed estimated to be greater than 70,000 KM per hour. It is also spinning on an axis just as our planet does. It is also aligned magnetically with the North pole at the front and the South pole at its back side, just like our own planet. When a mass passes through space, it disrupts all space/particles around it and causes an equal and opposite affect on everything it comes into contact with. Light and heat caused by the friction generated by this disruption also bends and twists around the South Pole(The back side). 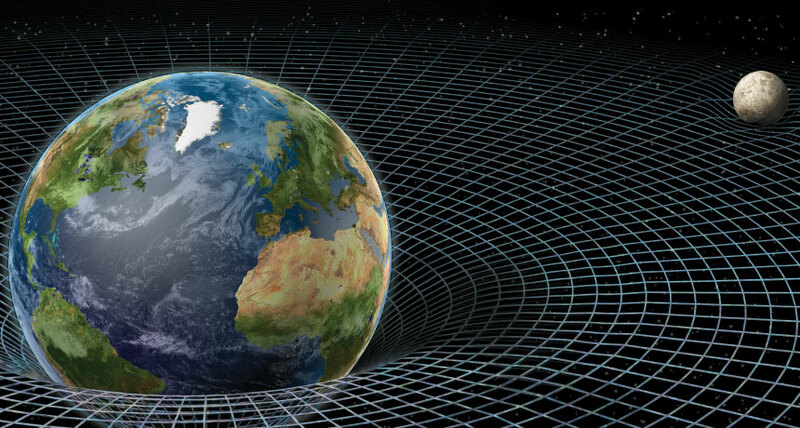 This bending and twisting force is what we now refer to as Gravity or to be more precise, a "Gravitational Vortex". As a mass passing through space disrupts these particles, including those photons that carry light are bent and twisted around the object and cannot be seen reflecting from the surface of the mass from the front. As I stated earlier, this phenomena can be witnessed near our own North Pole as you look up to the sky at night and see the colorful swirling affect of the "Northern Lights". By the time these particles pass around the back side of an object or mass like the sun, the friction is so great it causes collisions between these particles. These collisions result in nuclear fusion causing elements to fuse together and/or nuclear fission causing these elements to split apart. It also causes any organic material to disintegrate in the fire that burns behind it. Any object or mass that does not get fused or split apart will be thrown into its "Gravitational Vortex swirling" behind it in an orbital pattern that slowly moves away from the mass it is following. Not only is there nuclear fusion and fission happening, various molecules bind together and form new masses that include organic material, thus creating life as we know it. As we follow behind this large mass (a.k.a. the sun) through space, caught in its gravitational vortex, we can only see the fire that burns behind it. 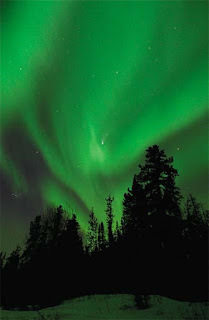 You can witness this same type of gravitational vortex as you observe a comet as it passes near enough for us to see it. 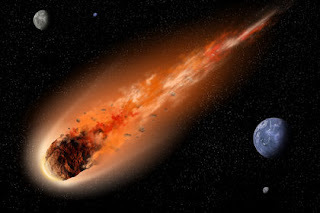 You will see a fire burning behind it and debris swirling behind it in a gravitational vortex similar to the comet illustrated below. If we were able to accelerate to approximately 1,000,000 KM per hour "AND" escape the gravitational vortex of the sun. We could then move around the front side of the sun and set our eyes on its North Pole. We would witness the complete opposite affect. The surface of the sun would be completely invisible to us due to the photons carrying the light bending around it. Not only does this object passing through space bend the light around it, it also causes any light that could be reflected from the surface to be pulled into its gravitational vortex as well. This would make it completely invisible to our naked eyes. All we would see is complete darkness surrounded by a glow of light similar to what we witness during a solar eclipse. This is what scientists have referred to as a black hole. A black hole is not a hole in space. 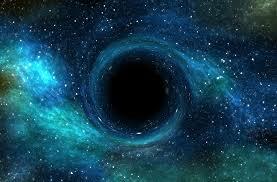 It is a large mass that is moving through space bending the light around it causing it to appear black. I believe that we cannot do this at the current time given our current state of technological knowledge but we may be able to do it sometime in the future. It is much easier to send satellites floating back into our solar system. This can be done with little or no effort once we allow it to escape our own gravitational vortex. You can basically stop all northerly motion and allow the other planets and objects to naturally pass by it. This is why we can send a satellite to Mars without much effort and fuel. It would take enormous amount of fuel and/or significant nuclear reactions to enable us to accelerate beyond the speed our sun travels through the universe in order to see the front or North Pole of the sun. You may ask then, "how do we prove this theory?". I believe this can be done as we analyse particles passing through the Hadron Collider at Cern. Though it is difficult to measure given the small size of the particles studied but I believe it can be done. The force of the gravitational vortex created by an object passing through space will be directly proportional to 3 factors. The greater the mass or speed a mass has while passing through space, the greater the gravitational vortex created by the object. Thus we can conclude the gravitational vortex behind the planet we call home is much smaller due to the smaller size of mass in direct comparison to that of the sun. 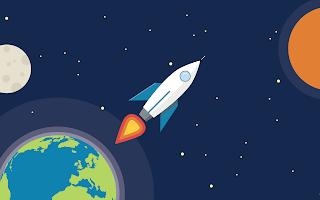 We are traveling at "nearly" the same speed as the planet we call the sun at the front of our solar system so our gravitational vortex is much less powerful due to the smaller size of our planet. Yes, I said "nearly". This force weakens over distance from the object creating the vortex and as time passes all the objects caught in the gravitational vortex of another object weakens over time. 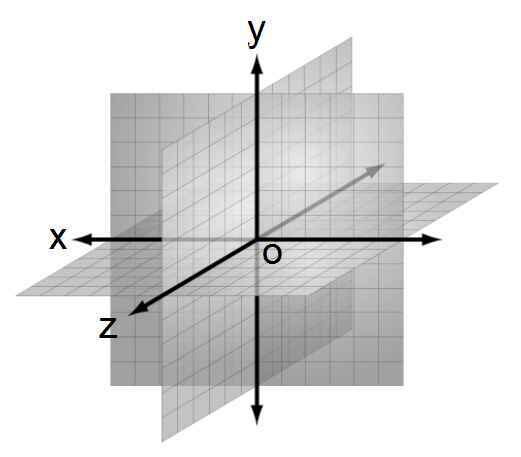 The force exerted by a gravitational vortex of one mass to another is indirectly proportional to the distance an object is from the object generating the force. The closer an object is to our sun, the stronger the gravitational force that is is applied to the object. Thus Mercury is held in orbit around the vortex much stronger than Earth or Mars. Inversely the further a mass or object is from the mass generating the vortex is much weaker. This means that the gravitational force that is exerted on Pluto is very weak and Pluto is in danger of dropping out of orbit, possibly within our lifetime. Don't worry about that though. We will not see this occur for a very long time. It is possible that mankind as a species will become extinct before that happens. This will be due to the extreme cold temperatures that will occur as the distance grows between our planet and the burning debris behind the sun that provides light and heat for us to exist. In conclusion I would like to say, the sun is not a star. It is a "LARGE" mass passing through space and burning up debris and fusing elements together and creating new elements and arranging these elements to create new planets. One day there will be a new planet between Mercury and the sun as Pluto falls out of orbit. Again, I am not an astrophysicist or an expert in earth science. I am just an average person who thinks outside the box, so to speak. Before I go, I want to say one more thing. Sometimes significant scientific advances are made by people considered ignorant on a given subject. You are welcome to join my group on Facebook called "New Scientific Theories and Ideas" where anyone with an idea can share it with the world.